When my family and I prepared to move here four years ago, we were already concerned with the quality of the water. 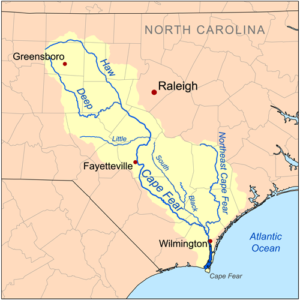 The Cape Fear River travels a long way before getting to the watershed where we were going to be planting our family and who knew what the river might pick up along its way? We asked around the UNCW biology department, where my husband had been accepted as an assistant professor, before arriving to see if anyone else held the same concerns, but heard nothing alarming until last June when the news about GenX emerged. In a nutshell, GenX is an untested chemical compound modified to be slightly less toxic than its cousin, known carcinogen, PFOA (or C8). 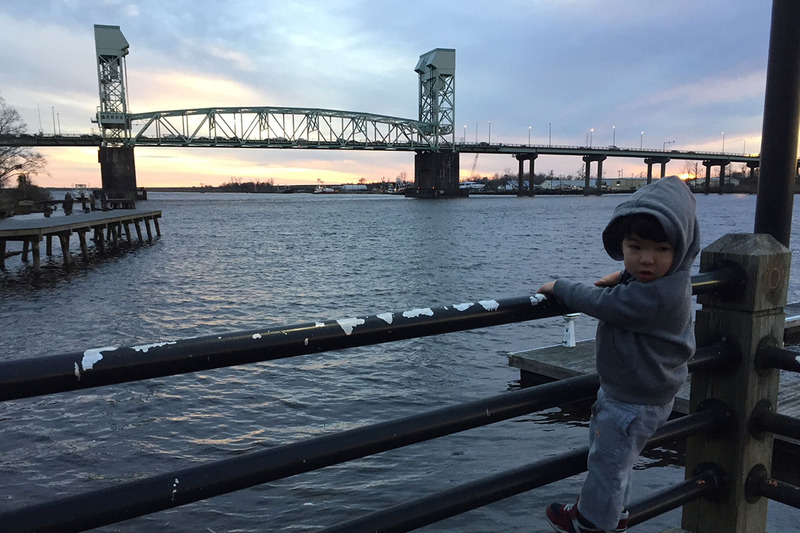 GenX was being dumped into the Cape Fear River near Fayetteville and it was found in our drinking water, including other endocrine inhibiting compounds. It also came to light that the water has been contaminated for the past 30 years. While most people who have lived here their whole lives report no adverse affects, many others do not appreciate being the test cases of exposure to these chemicals without their knowledge. 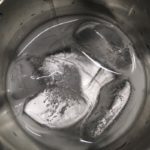 We begrudgingly embrace both attitudes, so we ironically raise our water glasses at restaurants, say “GenX!” while clinking with a wink and a smile and joyfully drink, but we also got serious about installing a reverse osmosis (RO) system for our home. RO is the most effective way to filter these compounds out of the water. 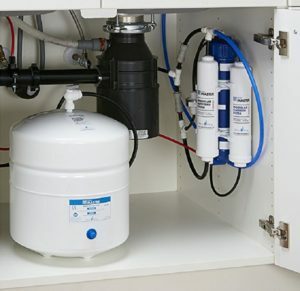 The crack researcher, my husband, got online and chose the Home Master TMHP HydroPerfection Undersink Reverse Osmosis Water Filtration System. Being of Japanese and Jewish ancestry (double whammy) we value economy and efficiency. The RO process generally wastes a large amount of tap water to produce a small amount of purified water. 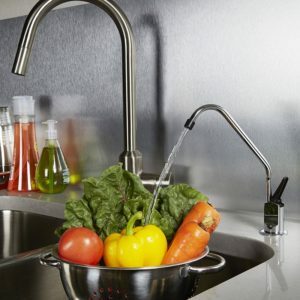 We chose one with a pump which forces the water through the system resulting in only 1 gallon of waste per 1 gallon of RO water; this is as good as it gets! 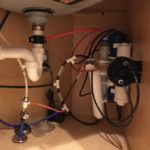 We were able to install this system ourselves and we did it only for our drinking and cooking water at the kitchen sink rather than a whole-house system. Furthermore, it has a high capacity tank on reserve, includes UV filters, iron filters, and adds remineralization all for $445. 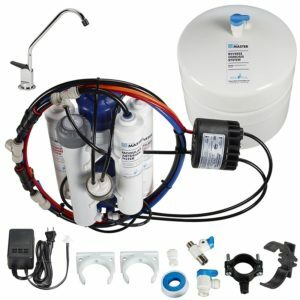 There were other undersink solutions that we considered ranging from $188-$285. 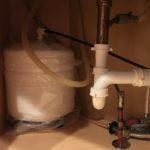 Installation was easy especially since we have a corner sink and had plenty of room for the storage tank. 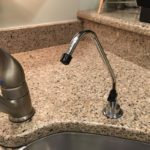 We were also able replace our hand held water sprayer with the RO spigot, so we didn’t have to drill another hole into our countertop. We had only two hold-ups. We first had to hire an electrician to install an outlet receptacle for the pump under the sink. Secondly, when we were testing the installation we had a small leak which was taken care of with an incredibly smooth and respectful customer service call with Home Master that only took about 45 minutes to resolve. They threw in a free set of replacement filters for our trouble. If you prefer reality rather than the manufacturer’s professional advertisement shots, here’s what our installation looks like!